This had (the worst label imaginable, half three year old learning Spirograph, half hermaphroditic nudibranch, what were they thinking? as well as) a pasted review of the most glowing tribute imaginable, lauding the winemaker, the quality, the price, which was all true, as well as this quip: “Certainly, one could say that Jorge Ordonez if a gift from Bacchus to thrifty wine consumers” which I take as a slight dig at RP having to laud “thrifty” bottles (how horrible he had to dirty his palate) as well as a dig at any wine consumer who balks at the price of “highly rated” wine. A very dense and rewarding red from very old vines (1935) with a strong immediate hit of berry and cocoa and a big pack of pepper (100% Monastrell or Mourvedre, but to the average North American I think we’d finger this akin to a hefty Oz Shiraz) with a superb long cassis finish. But it was also 15% alcohol. It seemed impossible after a glass and a half not to like this wine. We went through the bottle without any difficulty, liking it more with each glass. Ah, the life of the wine reviewer. Port next. 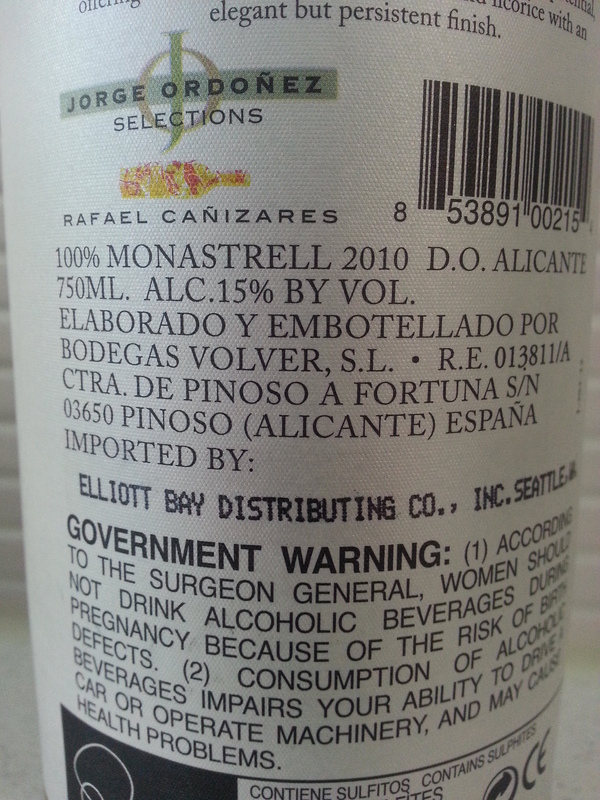 Superb with Spanish chorizo, vegetables, salads, tapas. And two liters of sparkling water. Price: A spectacular $12.99 USD (or, a mere $11.25 if you lived in the US and could buy it by the half case). 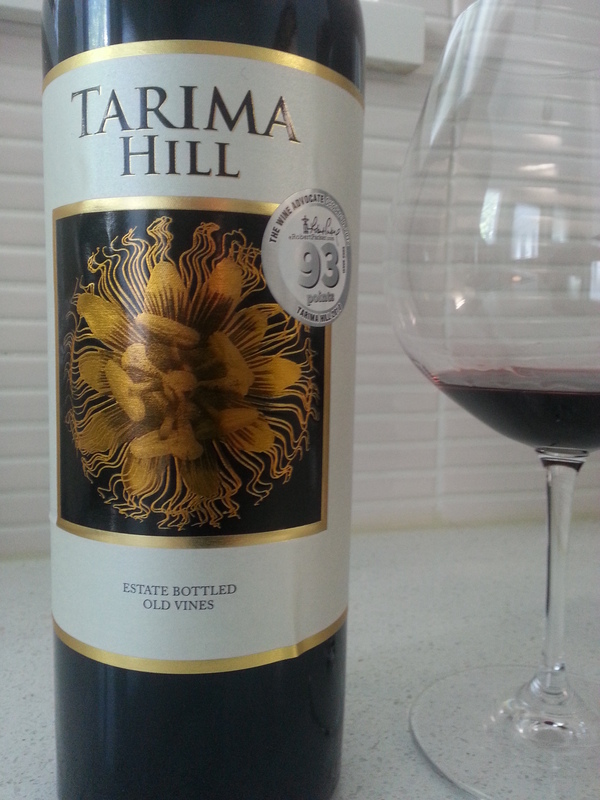 Market Liquidity: One bottle of Le Vieux Pin Equinoxe versus nine—that’s right, nine—bottles Tarima Hill. It’s a no brainer. 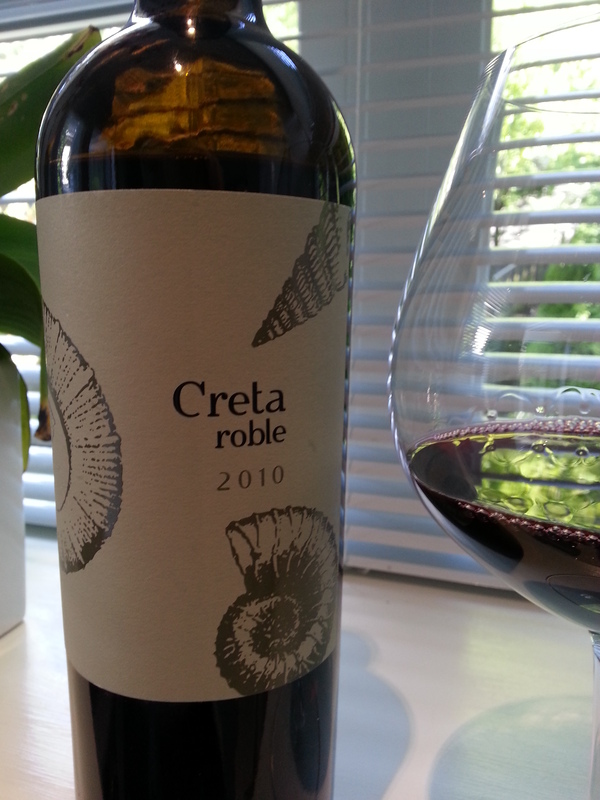 An affront to the Canadian wine making establishment: A “posh” Spanish red, upper-echelon Spanish red, 100% Tempranillo, in a big hefty jammy wallop of smooth and ridiculously approachable vintage for under $20 a bottle. Sick. We particularly liked how this wine had a double-edged character: earthy, dirty, of the vine, coupled by an ethereal, herbaceous, light and airy smoothness, like wafts of blossoms in a spring rain. Some oak, but not killer. Alas, we had only one bottle from a recent trip south. Our bad luck. Price: $13.99 US in Seattle. Market Liquidity: A wine which could create peace in the Middle East. Tart and zesty with a clean finish. A wallop of citrus, some lovely lingering peach fuzz, a strangely neutral nose (and I really got my nose in there, after a lot of sloshing!). A “smooth bite” if you’ll allow. It’s no Pierre Sparr but it’s a great local bottle. Perfectly perfect sipper, especially in the summer garden under an umbrella with some mild cheese and olives. We enjoyed it with a simple orzo salad and it was lovely. 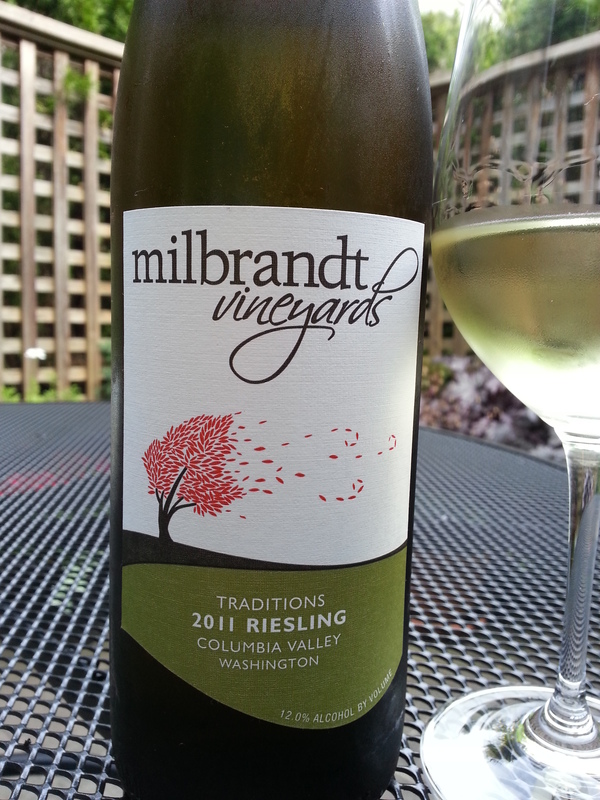 Milbrandt was at the Playhouse wine festival up here a few years ago but now their wines are hard to find. Too bad for us. Even at Canadian prices this would be a good standby. Price: In the US, around $14. Market Liquidity: A delicate balance. A Zelig of Shiraz’s. First, peppery, spice cabinet, the whiff of basketry as you walk into a Pier 1 Imports. Vanilla, cassis, smooth like velvet. That was just before dinner. 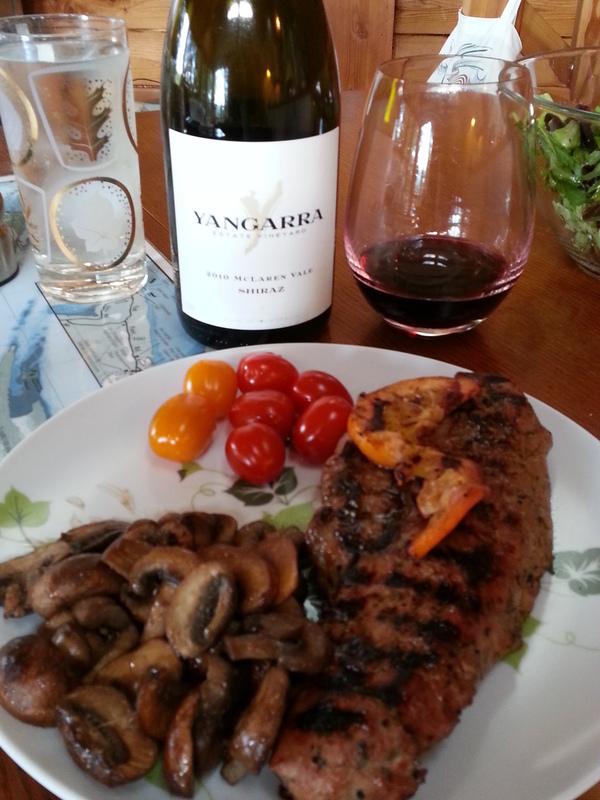 With food—a peppercorn NY Steak, BBQd to medium rare with brandied mushrooms and a simple salad—it became a different wine, heartier, stronger, more assertive, cabernet-ish, a musky herbaceousness that trumped the meat. 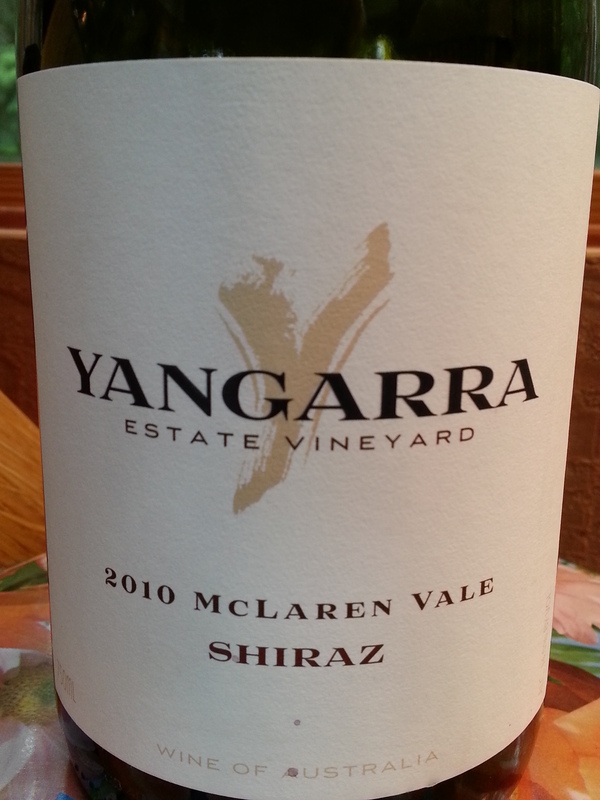 Traditional wine superlatives fail here because you will perceive this as just another Aussie red; but it is so much more. Gentle and aggressive, remarkable on so many levels. Although this comes in at a disappointing 14.5% alcohol, and while not the red of my dreams, it is dreamlike and I would make any excuse to order more red meat simply to pair up this brilliant bottle. Please don’t hate me Mark Bittman! A lovely US value, not so much in BC. Pete’s in Seattle (one day I will blog on the wine-heaven which is Pete’s) offered this at $13.67 a bottle, regularly $15.88. Everything Wine in Vancouver offered it at $48.99 a bottle. You do the math. Market Liquidity: USA, USA, USA. Finally, a cheap, er, I mean really inexpensive, hugely drinkable, everyday red. A no brainer for wine lists. Why the Food Network doesn’t have a show on wine lists, only chefs, is anyone’s guess. Not hearty. Not big. Overwhelmed by strong flavours. But omigosh does this please at the price point. Easy before dinner, easy with. 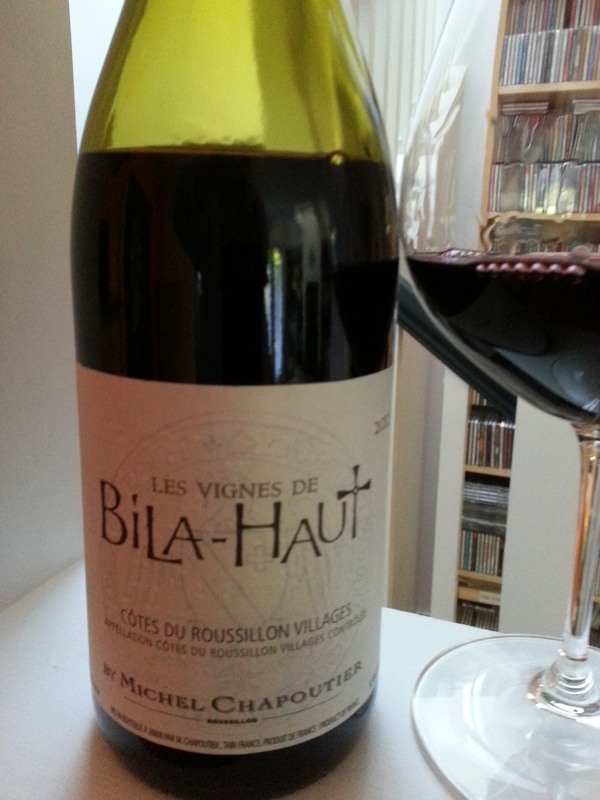 The label describes many hefty attributes that you might link to the Rhone heavyweights, but this is a gentle red, luscious with berry and cassis and nominal tannins, only a hint of woody spice, almost no finish. Although a blend it drinks like Grenache. Price: $15.99 at the BC Liquor stores, and readily available to boot. Market Liquidity: Pleasure, no pain.